Spoiler alert. Kristin Ruud do not read any further. I realize the title has already done some damage to the surprise. When my sister in law asked for a french press for Christmas I was more than happy for a reason to shop and browse at Crate and Barrel. They have such beautiful displays! The press on it's own was nice - but I thought all the stainless steel and glass could use something a little more "homey". Can you see me taking the photo? It's not a totally original idea, but it's fast and easy. 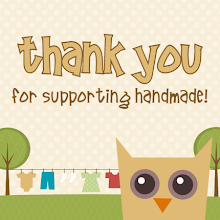 I wish I would have seen this blog post over at craftsylish before I started! I did essentially the exact same thing - using 2 buttons and narrow elastic instead of ribbon closures. I also didn't quilt the cozy. I made the cozy 6.25" x 11.5" and I think it fits perfectly! The french press is a BODUM Original (made of glass) and is available at Crate and Barrel.